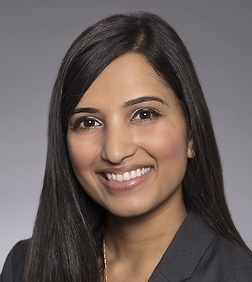 Snehal Desai is an associate in the Intellectual Property Practice Group in the firm's San Francisco office. She is a member of the Privacy and Cybersecurity Team, the Advertising Team and the Technology Transactions Team. Advertising: Snehal advises clients in conducting advertising campaigns, contests and sweepstakes, and brand marketing campaigns. Technology and Commercial Transactions: Snehal drafts and negotiates agreements for software, SaaS, technology services, logistics, marketing, outsourcing, intellectual property licensing, sourcing and distribution agreements, and other commercial and transactional matters. Privacy and Data Protection: Snehal counsels clients on compliance with domestic and international privacy laws and regulations. She helps clients with drafting privacy policies and online terms of service for websites and mobile applications. She also counsels clients regarding cybersecurity breach response and best practices for mitigation. Snehal also has an active pro bono practice and dedicates time to serving her local community.